Mentally unstable man in the military gains legal access to gun, goes on rampage. That’s the portrait. Bottom line: Do whatever is necessary to grab guns from private citizens. Tighten laws. Step up psychiatric interventions across the land, to prevent shootings before they occur. Perfect. You couldn’t have scripted a better sales campaign for gun control. And therefore, one can legitimately ask: Did somebody script the word-picture of Alexis for that very purpose? What could you do to make people believe that story? I’ll tell you what: nothing. You’d be sunk. Let’s assume Alexis was already somewhat unstable. That would make him a better candidate for harassment. At that point, there would be two ways to go, if you wanted to engineer a mass shooting. Make Alexis an innocent patsy. Or actually turn him into a Manchurian Candidate, an MKULTRA subject who would kill. If your objective is gun control, you’d achieve your aim either way. And here is the bonus: in the wake of the Navy Yard shooting, you could institute more psychiatric control of the citizenry, which means, when you strip away the baloney, more fake mental-disorder diagnoses and more drugs which CAUSE VIOLENT BEHAVIOR, including suicide and homicide. After which you can make an even better case for universal gun banning, because people on those drugs would be committing murders from coast to coast in greater numbers. Of course, when television viewers pray at the altar of the major news networks, they would never entertain, for a moment, what I’m suggesting here. Why not? Because, as consumers, they’ve allowed themselves to be conditioned, for many years, by the kinds of tales these media outlets tell. If well-known “journalists” don’t speak of “patsy” or “mind control,” there’s nothing to know about. Patsy at the scene? How would that work? Several possibilities. Alexis is there, but another shooter is doing the killing. He kills Alexis, who becomes the focus of the story, the “shooter.” A shotgun and AR-15 are placed near his body. The problem to overcome: witness statements. So far, I find two witnesses, Terry Durham and Todd Brundige, executive assistants in Building 197, who claim they saw “the shooter” down a long hallway fire a a gun at them. In their television interview, which you can find at YouTube (BBC, other outlets) they claim they couldn’t see the shooter’s face. However, the Washington Times reports Durham saying, “I could see his face.” Quite odd, when we have her on camera saying the reverse. Other news outlets use headlines to suggest these two witnesses did see (“confronted,” “came face-to-face with”) the killer’s face, but the body of text finally confesses this is not the case, despite some slippery language (“came around a corner and saw the killer”). Obviously, media outlets are trying to make more out of less. It seems somewhat curious that we don’t have many witnesses who are specifically making positive IDs of Alexis killing people in the building. For example, in the Aurora Theater shooting, a number of witnesses say they saw the shooter. Of course, he was masked. Well, what about police statements? We’re told cops killed Alexis in a shootout. How many cops? Unknown. Five, ten, one? I find one report of a canine cop (unnamed) who traded shots with “a gunman” and was seriously wounded in both legs. He was in surgery at the time of the report, and was expected to undergo a number of operations, in an attempt to save his legs. Perhaps there are other witness statements out there which positively ID Alexis as the shooter. I have not found them. Turning Alexis into an MKULTRA Manchurian Candidate, who would, as a result of mind control, go into the building and kill people is an entirely different matter. In that case, the microwave harassment and the broadcast voices would serve as a softening up process. But much more would have to be done. Although there are patents one could search to try to learn about modern mind control technology, and statements from people who were past victims of mind control, many blank areas remain. This is because the experiments are secret. Here is a bit of background on MKULTRA secrecy. Back in the early 1990s, I interviewed John Marks, author of Search for the Manchurian Candidate (1979). This was the book that exposed the existence of the CIA MKULTRA program. Marks related the following to me. He had filed many Freedom of Information (FOIA) requests to the CIA for documents relating to their mind-control program. He got nothing back. He told me that three important books had been written about MKULTRA, and they all, in a sense, stemmed from those 10 boxes of CIA financial records. There was his own book; Operation Mind Control by Walter Bowart; and The Mind Manipulators by Alan Scheflin and Edward Opton. Marks continued to press the CIA for more MKULTRA information. He explained to me what then happened. A CIA official told him the following: in 1962, after ten years of mind-control experiments, the whole MKULTRA program had been shifted over to another internal CIA department, the Office of Research and Development (ORD). The ORD had a hundred boxes of information on their MKULTRA work, and there was no way under the sun, Marks was told, that he was ever going to get his hands on any of it. It was over. It didn’t matter how many FOIA requests Marks filed. He was done. The door was shut. Goodbye. The CIA had gone darker than it ever had before. No leaks of any kind would be permitted. Because “more psychiatric treatment” is a prime agenda, pushed after every one of these mass shootings, people need to understand how the history of mind control and psychiatry are interwoven, and how the madmen and murderers within these “professions” are content to use torture in the name of science. “[Before World War 2, in America], organized psychiatry had been sterilizing tens of thousands of Americans. For a time in California, you couldn’t be discharged from a state [mental] hospital unless you were sterilized. In Virginia the retarded were targeted. American advocates of sterilization went to Berlin to help the Nazis plan their sterilization program. These Americans reassured the Germans that they would meet no opposition from America in sterilizing their mentally and physically ‘unfit’ citizens. Dr. Breggin, in his books, including Toxic Psychiatry and Medication Madness, demonstrates that this “healing profession” is still tilling the same soil. Because of its reach with toxic drugs, it’s more dangerous and deadly than ever. Only its PR has improved. 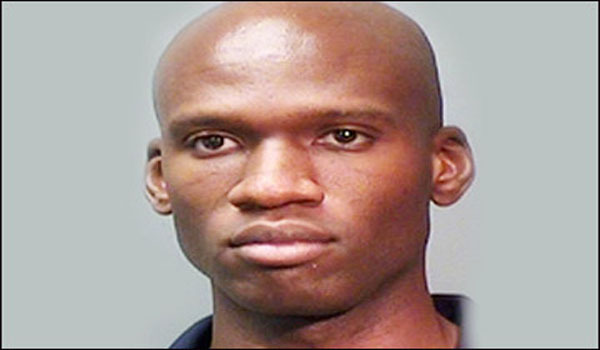 I obviously can’t prove or conclude that Aaron Alexis was MKULTRA-programmed. But I can say the CIA and other allied agencies have an extensive track record of carrying out horrendous mind-control experiments, concealing them, concealing the technology, and making bland statements to the public and the press denying their contemporary use of mind-control. If Alexis was, in fact, the man who killed people in the the Navy Yard, and he wasn’t overtly programmed to do it, then recent accounts strongly suggest he was taking psychiatric drugs. The SSRI antidepressants, in particular, have a long track record of pushing patients over the edge into suicidal and murderous violence. Psychiatry IS a form of MKULTRA. It operates according to a different plan, what I call the Johnny Appleseed approach. Drop enough drugs into enough bodies, and then stand back and watch the killings sprout here and there and here and there, across the land. Odd, perhaps he was used as a False Flag tool. Operation blue beam and mind control? What about the other 4 “shooters” at Sandy Hook? What about the “dancing Muslims” who turned out to be Israeli MOUSSAD Agents on 9/11? Now just a couple days after gun registration is no longer required in Chicago 13 people are gunned down in a park by known criminals. Convenient isn’t it? What ever Happened to the FIRST alleged Named Suspect: “RILEY CHANCE?” from: “Kansas” ? RILEY CHANCE from KANSAS and possibly 2 or more Yet to be Identified SHOOTERS…. Soviet deral Federal Family Gov.Co. H.Q.? Polit Bureau Command Central? THREE Identi-cAH EL Body Counts; Hmmmm??? There are: NO Co-IN-cedent[ces]? Every THING is MADE to Happen for a specific Tacti-cAH EL Militant Purpose! Move Along Folks No Thing to See Here! Just keep hypNOtized Watch[ing Kim Kardashian; Molly CyrUS or Brittany ( “Pork Chops”) ? Go Back to Sleep the Government Is Here to Protect You! cRAd-EL to Grave? PRAY!